Who, What, Why: Exactly what does the phrase Boko Haram mean? 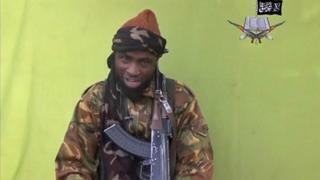 Militant Islamist group Boko Haram has gained notoriety with the kidnapping of more than 200 schoolgirls in Nigeria. What precisely does the group's name mean? The official name of the Boko Haram group is actually Jama'atu Ahlis Sunna Lidda'awati wal-Jihad, which in Arabic means "People of the Sunnah (the practise and examples of the Prophet Muhammad's life) for Preaching and Jihad Group". But the Hausa-speaking residents in the north-eastern city of Maiduguri, where the group had its headquarters, dubbed it Boko Haram. And for reasons of brevity this is the media's preferred name. Boko Haram translates from the local Hausa language to mean "Western education is a sin", according to most media reports. But a few voices of doubt have been raised. How could two words convey so much information? There doesn't seem to be much debate over the word "haram". It means prohibited or sin, most scholars accept. The word is Arabic in origin. But there is confusion over "boko". Some claimed it was derived from the word book. But African language expert Paul Newman has said they are what the French call "faux amis", two similar sounding words with no relation when it comes to meaning. Boko means "inauthentic" or "fake", says Mohammed Kabir of the BBC's Hausa Service. It does not literally mean education. The word's evolution is bound up with colonialism. In 1903 the Sokoto caliphate, which ruled parts of what is now northern Nigeria, Niger and southern Cameroon, fell under British control. It led to anger among Muslims at the imposition of a non-Islamic education system. The term "ilimin boko" was used to describe the kind of schooling the colonialists brought with them. Literally ilimi is education (an n is added when it appears as part of a phrase). So ilimin boko is fake education. The fakeness described the foreign form of education being imposed. And the foreigners involved were Western. So it can mean "Western education" in a pejorative sense. Over time the phrase ilimin boko became shortened to just boko. But everybody knows that it is shorthand, Kabir says. "Western education is a sin" may not be the literal word-for-word translation. But it is correct, Kabir says.